Pamela Grow is an author, coach, copy-writer & nonprofit marketing consultant. Pamela specialises in helping small nonprofits develop and has been named as one of the top 30 Most Effective Fundraising consultants. In her article 10 things that will make your donors say “Wow!”, Pamela gets together with ten charities to give us a few hints on how to keep donors. The common theme through the list was board members reaching out to their donors. Not to ask for money but to share ideas or just say ‘thank you’. 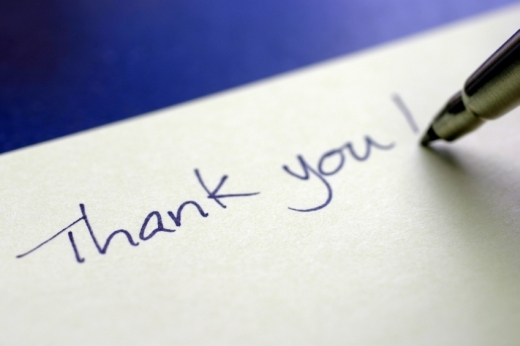 Handwritten thank you notes were popular, either from board members or people who have received benefits from the charity. Releasing an impact statement and personally inviting your top 100 donors to your annual general meeting were other ideas.